We all have many jobs to do – keep our room clean, go to school, do our work, tidying up, feed our pets’ etc. But which one is our most important job? 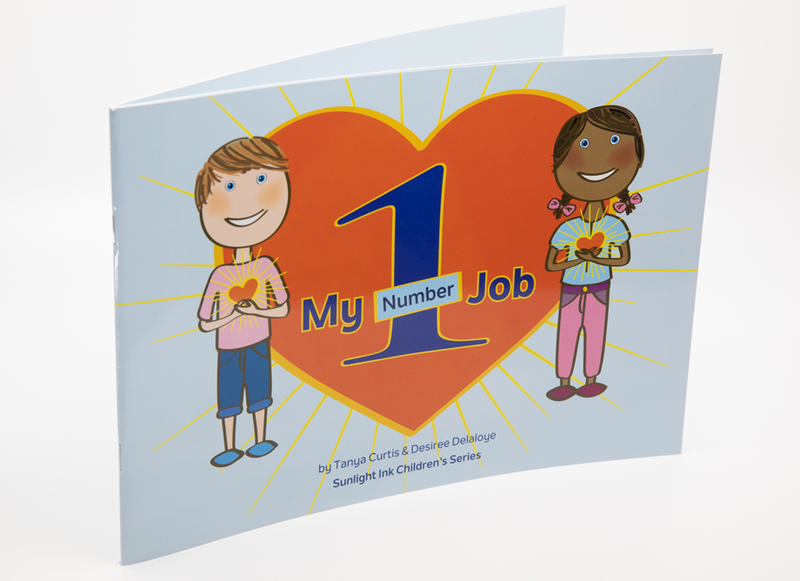 This book introduces that we all have many important jobs to do ... but ... we ALL have one very important job ~ our number 1 job! WHAT IS OUR NUMBER 1 JOB? This book explores the value and practicalities of loving our self in the knowing that when we learn to love ourselves first then we can truly offer love and support to other people! Once we do our number 1 job, all our other jobs can be done joyfully and willingly. But first – we must complete our Number 1 Job. Imagine a world that is filled with people living in the knowing of this INNER TRUTH – that we can only love others if we love ourselves first. Written by Fabic founder Tanya Curtis in colloboration with Desiree Delaloye.